If you own a credit card, it is a big responsibility to use it efficiently. They are a great convenience but not for the things that you cannot afford in life. It is very important that every credit card owner should have a sense of obligation and understand the important points of being a credit card owner. But most of the people do not understand these points and often tend to get themselves into credit card debts because some careless credit card usage. We are going to discuss some of the most common mistakes done by the people and how they can avoid these mistakes. Anybody with a credit card debt and going for minimum payment every time is getting himself into a viscous cycle. Most of the credit card companies prefer this kind of customers because they just keep adding interest on your name which you will be paying in later years. Therefore, it is essential to consult Your Personal Financial Mentor about how to manage the credit card payments efficiently without piling up the debt. He will help you build up a financial strategy that will benefit you in the long run. Generally, teens tend to misuse credit cards and if you are providing credit card to your child, make sure you educate him on proper usage of the card. The most important thing is that you should give credit card to your teen only if you consider them responsible enough to pay their bills themselves. 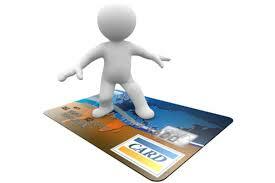 Credit cards are meant to pay out in times of emergency and for the convenience of not taking cash with you. What is the use of buying a $2000 television if you cannot afford to pay the money back? Never go for the things that you cannot afford to pay for. It seems much more convenient to have dozen of credit cards so that you can use them once the max limit of your card is reached. And what if you are just paying off the minimum balance of all of these cards? This is the exact reason why most of the people get into the cycle of debt. Therefore, try to avoid getting too many credit cards. It’s not always important to look out for perks while selecting a credit card for you but these perks are still helpful. Look out for some of the important advantages which may include gas, cash back or a lower interest rate. It is strictly advised to get rid of those cash advance checks as soon as possible, no matter how tempting they are. These are the shortest path to get you into a financial debt. Moreover, keep in mind that these checks come with higher interest rate and comparatively good fee. Make sure that you always read the fine print because most of the companies offer a low interest rate in initial months but their rates are increased after a certain period of time. The Magic Money Number: How Many Credit Cards Can You Carry?